Jennifer Miller, owner with thirteen years of professional experience, brings to you, "Wild About Styles" a full-service salon and spa serving the Wyomissing area in Pennsylvania. We offer a Rewards Card Program. Our way of saying thank you to all our loyal clients. You earn points on every dollar you spend on services and earn cash to redeem toward future services. 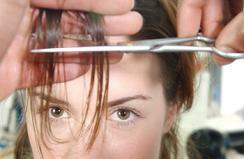 We are trained to give you a professional service in a very comfortable relaxing atmosphere. We offer packages for birthday and bridal parties, spa day packages to do alone or with a few friends.Gift cards are available to help you pamper that special someone.Come let us pamper you and yours today! You deserve a break from everyday stress! Treat yourself! Jennifer Miller - Owner, Hairstylist, Nail Technician, Facials, Make-up, Waxing, and specializing in Pedicures and Body Waxing. 13 years of experience. Our salon uses only the best products available, with name brands that you know and trust such as Sukesha™, American Crew™, OPI™, and Nailtek™. Closed on Sundays Appoinments appreciated. Walk-ins if time. We are also accepting donations of hair for the "Wigs for Kids" the hair needs to be 12 inches for them.